That’s actually the name of a never-quite-finished Potatomen song. Or, to be quite accurate, I finished writing it, and the band even practiced it a few times, but for one reason or another, it never quite made it into the repertoire, catalog, what have you. I still hum it to myself once in a while, though, especially whenever I’m moved to tackle that ragged cardboard box of photos dating back to the late 60s that’s been hogging space in the middle of my office floor almost since I moved into this apartment a year and a half ago. The goal is to get all the pictures, at least the worthwhile ones, scanned and put up on the internet so they’ll live on for posterity. Unfortunately, there are enough of them that I fear I’ll wear out my scanner before I’m anywhere near finished, and then of course there’s always the worry about whether the internet itself will have room for them all. Above we have Dallas Denery, now Professor Dallas Denery, singing with Sweet Baby Jesus. 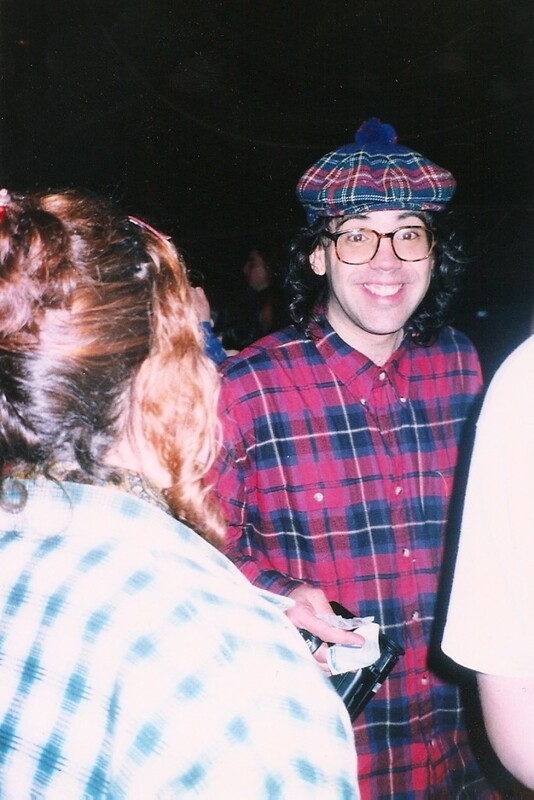 I’m guessing this is Club Foot in San Francisco, which would make it late 1986. Photo by Murray Bowles. The guy in the cowboy hat in the background is “Diamond” Dave Whitaker, about whom Bob Dylan said, “A great curiosity respecting the man had also seized me and I had to find out who Woody Guthrie was. It didn’t take me long. Dave Whitaker, one of the Svengali-type Beats on the scene happened to have Woody’s autobiography, Bound for Glory, and he lent it to me. I went through it from cover to cover like a hurricane, totally focused on every word.” Dave also claims to be the one who first turned Dylan onto pot when the then-aspiring folk singer used to crash on his floor in Dinkytown. 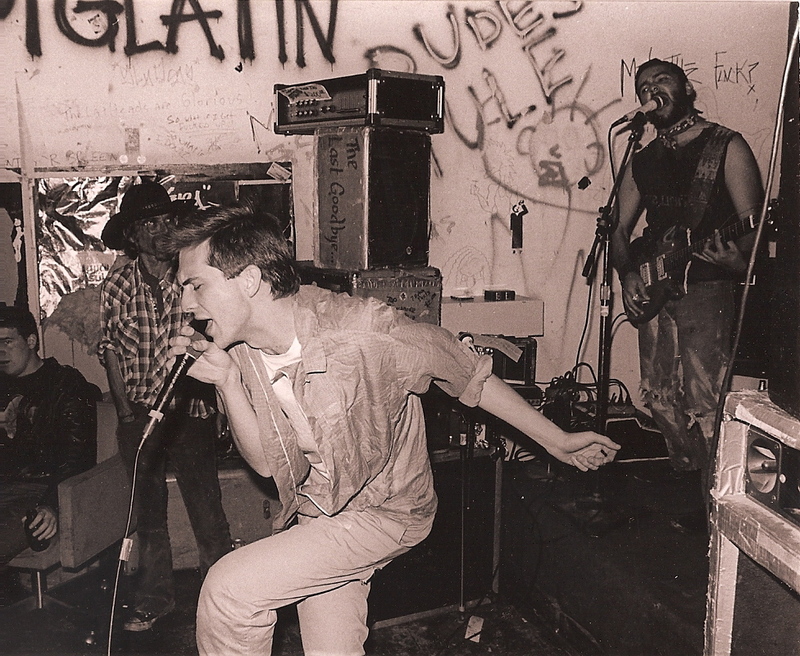 Below are “Dr.” Frank Portman and Jon Von Zelowitz playing with the Mr. T Experience, definitely at the Club Foot (I’d know that wallpaper anywhere), and almost certainly in the autumn of 1986. Photo again by Murray Bowles. 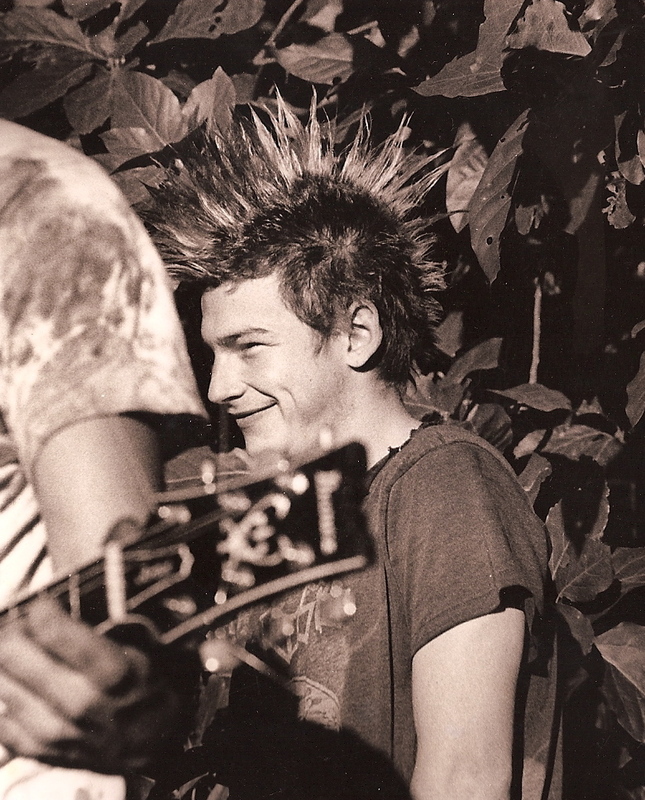 Above and below: the advent of the Gilman Geeks, 1987, most likely. Both photos by Murray Bowles. Above: Robert Eggplant, renowned for many things, but perhaps most famous for his roles as guitarist of Blatz and editor-publisher of Absolutely Zippo. This is possibly the neatest, as in most orderly, that Eggplant’s hair has ever been since he first showed up at Gilman on his skateboard in 1987, aged 14. Below: Jesse Luscious, lead singer of Blatz, at a show in Eggplant’s legendary backyard (also the scene of the *very* last Operation Ivy show, which took place the after the much better known last show at Gilman Street. I won’t even pretend to know what exactly is going on here, so I’ll leave it to your imaginations. 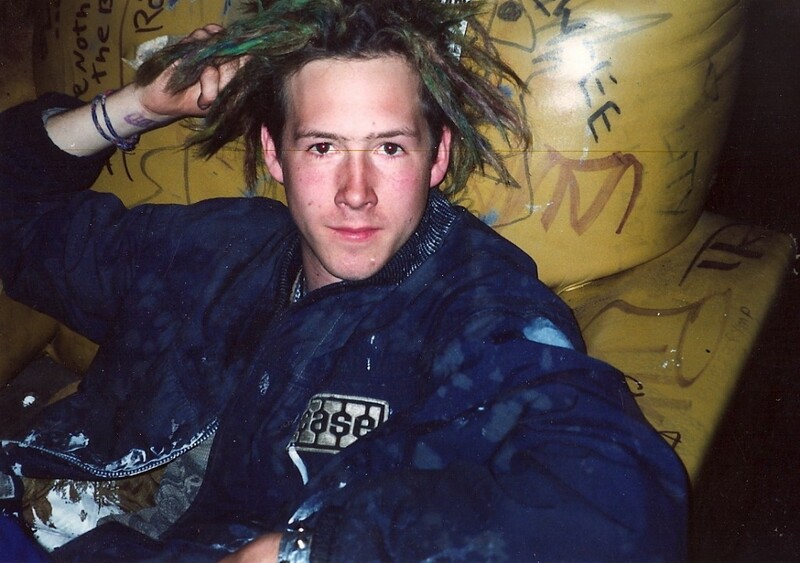 Also of note: Jesse is currently an elected official in the City of Berkeley and still volunteers at Gilman. Both photos by Murray Bowles. 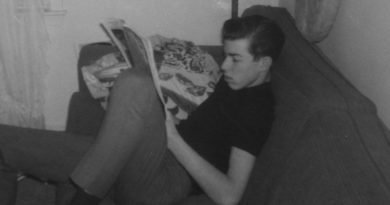 Above: David Hayes, co-founder of Lookout Records, 1986 or 87. 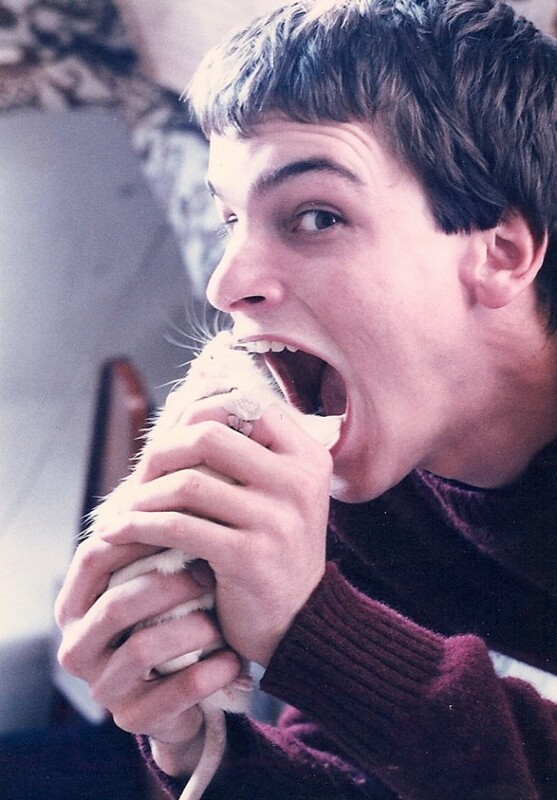 It should be noted that David was not normally in the habit of eating rats. Photo by me. 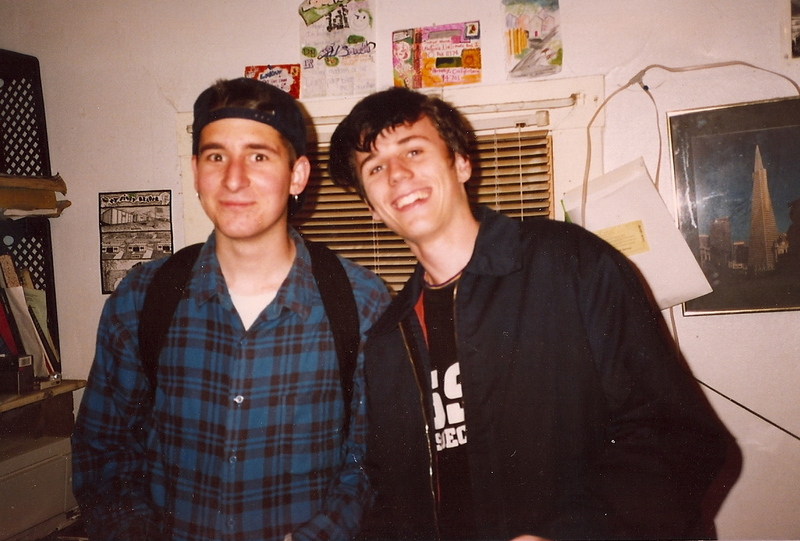 Below: Patrick Hynes and Chris Appelgren, the bright sparks who replaced David when he left Lookout at the end of 1989. Photo by me, I think, but I wouldn’t swear to it. Above: Canadian indie faves cub pay a visit to the place where it all – okay, well, some of it – began. This was one of their first trips to California, and Smugglers front man (and current CBC radio personality) Grant Lawrence filled in on drums for them. 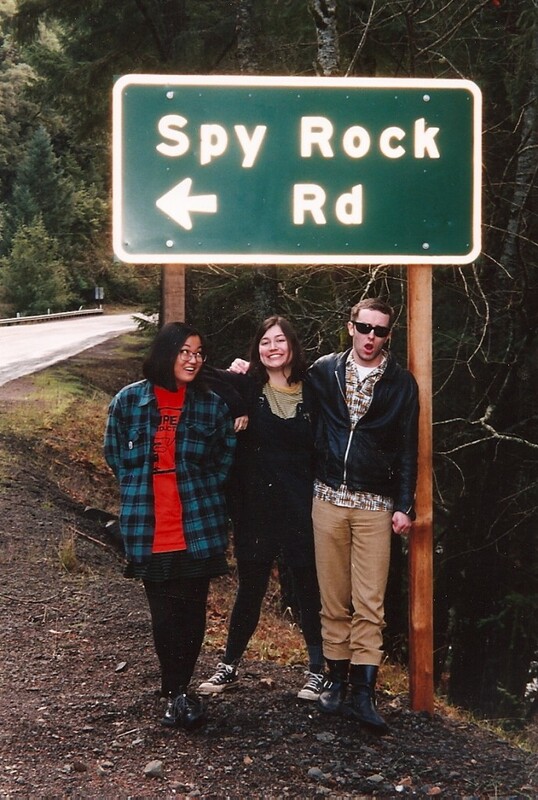 On the left, Robynn Iwata and in the middle, Lisa Marr. I have no idea who took the photo. Perhaps a passing pot farmer? 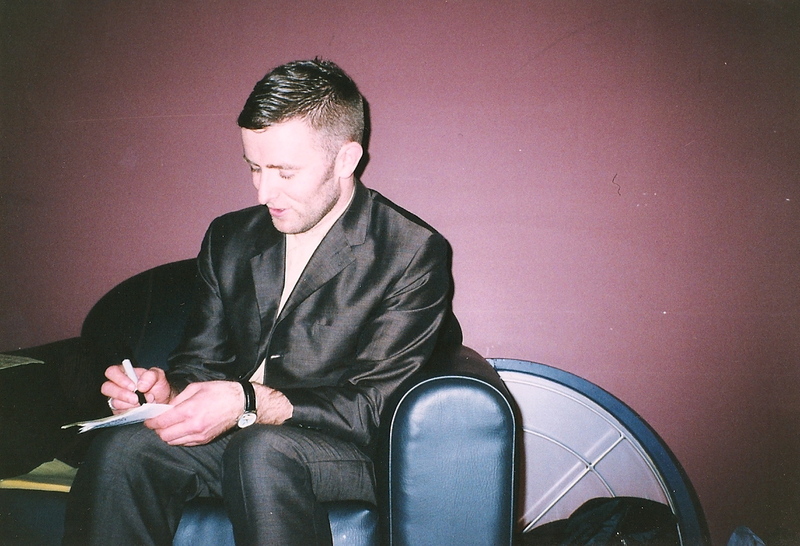 Below: Grant Lawrence looking dapper, debonair, suave and sophisticated as he sits backstage preparing a Smugglers setlist. I guess I took the photo? I really don’t know. 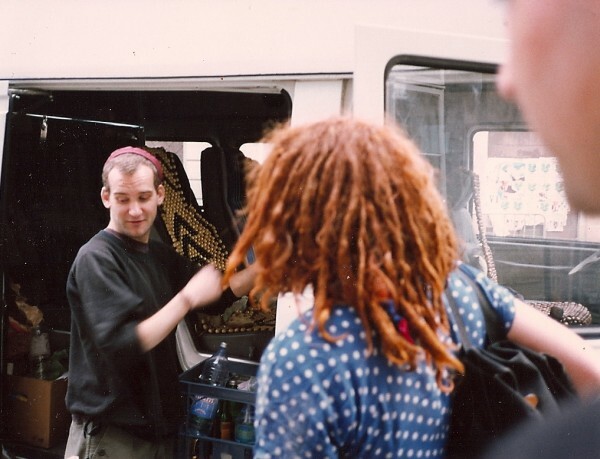 Above: Ian Mackaye unloads equipment from the Fugazi van in Prague, (then) Czechoslovakia, 1992. The redhead in the foreground is Mary Jane, who along with Christy Colcord was driving the Mr. T Experience around Europe, and I was along for the ride. Mary Jane and Christy also took Green Day on their first couple European tours. Photo by me. Below: Chris Gambin, generally believed to be the inspiration for the character “Little G” in the Aaron Cometbus novel Double Duce. 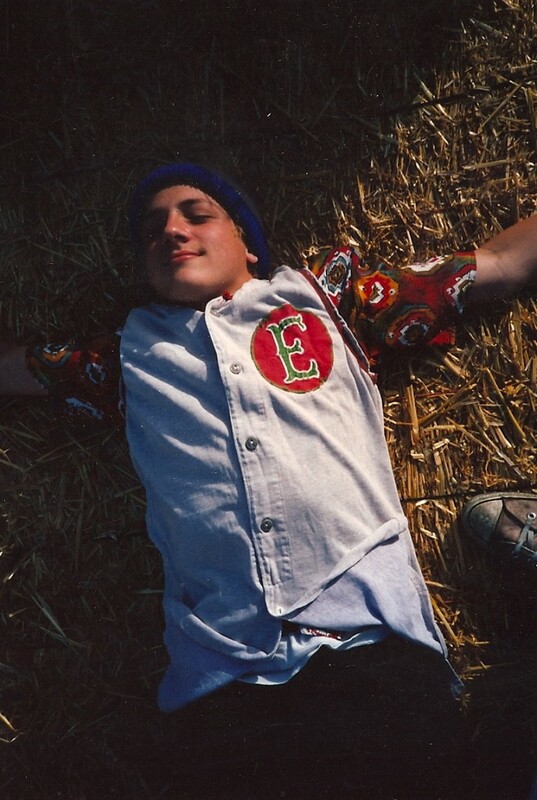 Atop a bale of hay in Old Town, Eureka (something to do with the 4th of July), probably 1992. Photo by me. 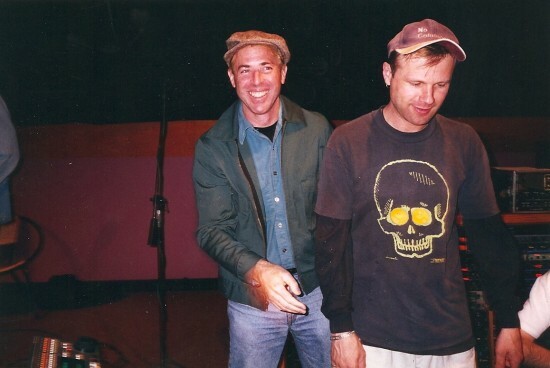 Above: Joe King and I at Big Sound studio near Portland, Maine, during the recording of the Queers’ Don’t Back Down. 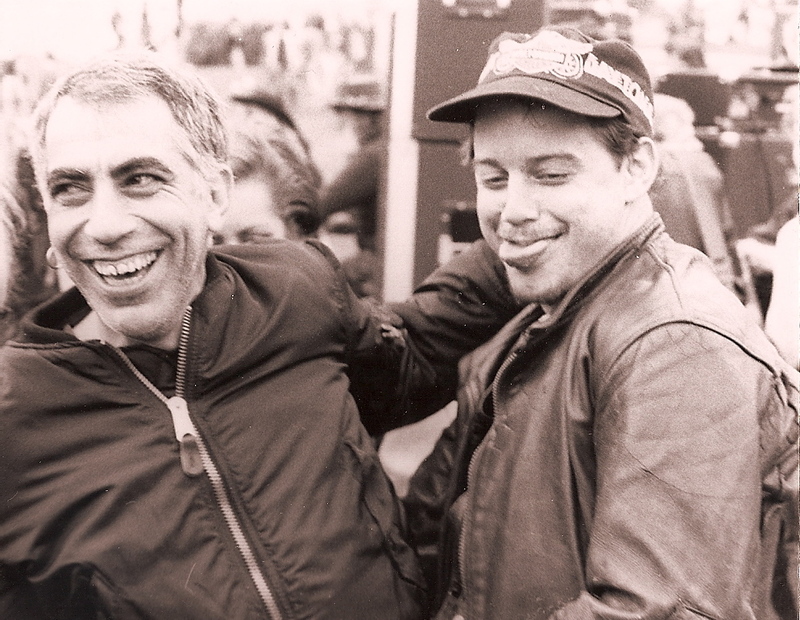 Joe always tried very hard not to be amused by my antics, but he wasn’t always successful. 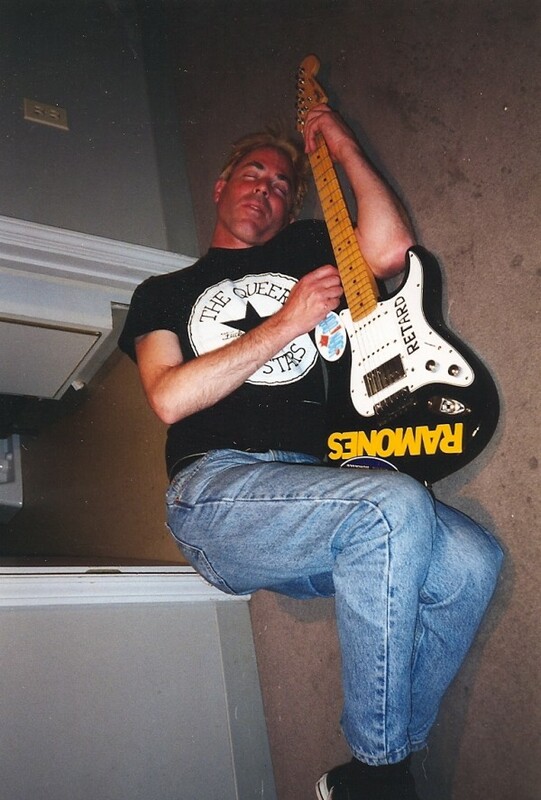 Below: I’m not sure if this was one of my antics or if I’m just passed out on the floor with Joe’s guitar. Same studio, same occasion; I don’t know who took the photos. It could have been Mass Giorgini, who was engineering the session. Above: Nardwuar the Human Serviette of Vancouver BC’s Evaporators, radio and television fame, and certainly Canada’s most singular interviewer and all-round personality! Below: Davey, about whom there’s a Potatomen song and who is now a distinguished professor of art at a college whose location will remain undisclosed because he’d kill me if his students ever caught sight of this photo. Taken by me at Gilman Street, 1993. And that’s it for now. I have an appointment somewhere out there in the pouring rain. 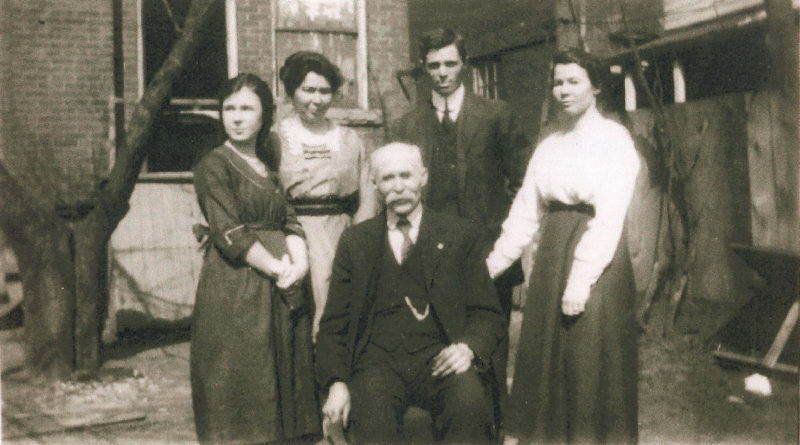 Oh, by the way, the two old folks at the top are my great-great grandfather and grandmother. The photo was taken sometime in the 1870s, I believe. loved club foot. always great memories. 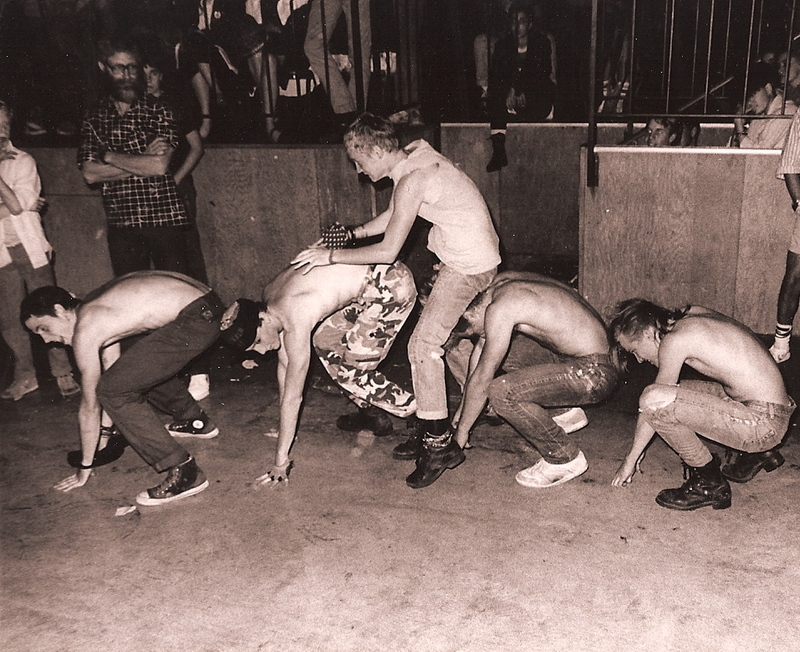 Did MTX tour with Fugazi? No, only played the one show together in Prague. 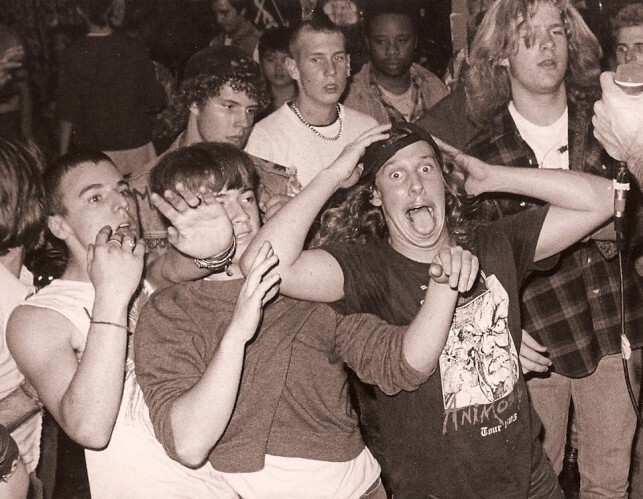 It was a good show for MTX, not only because there was a huge crowd, but also because the promoters had stocked a large fridge with beer for Fugazi. Which of course they had no use for, so it got passed on to the opening band. 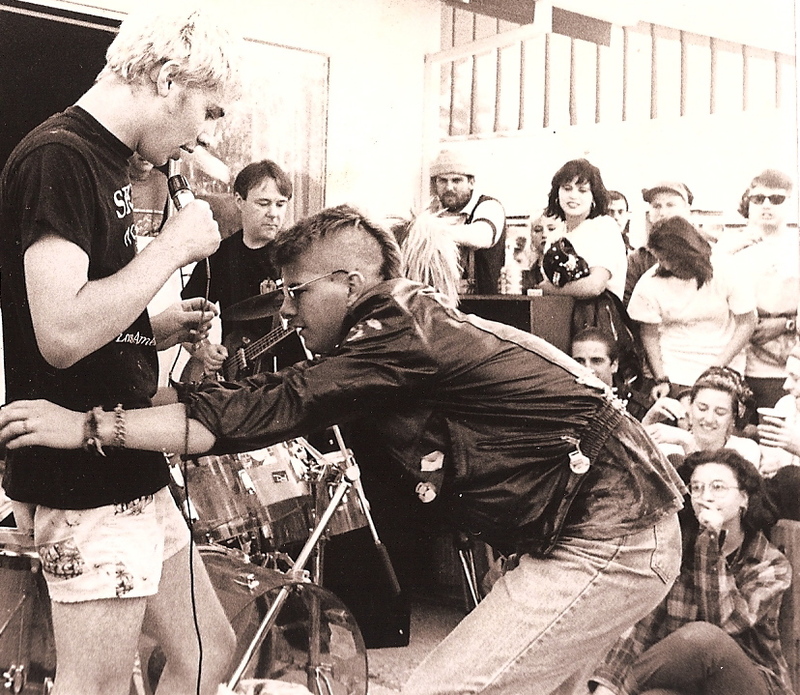 Fugazi and MTX, wow. That would have been a whole different weird kind of awesome for me. The other good thing about that Prague show was that Fugazi gave us all the money! It wasn’t much even though it was a big show, but we were very broke so it was cool of them to do. Hahahahahaha, so Ian tried to impose the 5 dollar rule even though it equaled out to like, a nickel or 50 dollars or something? That’s pretty rad (though unsurprising) that they gave you all the show money. 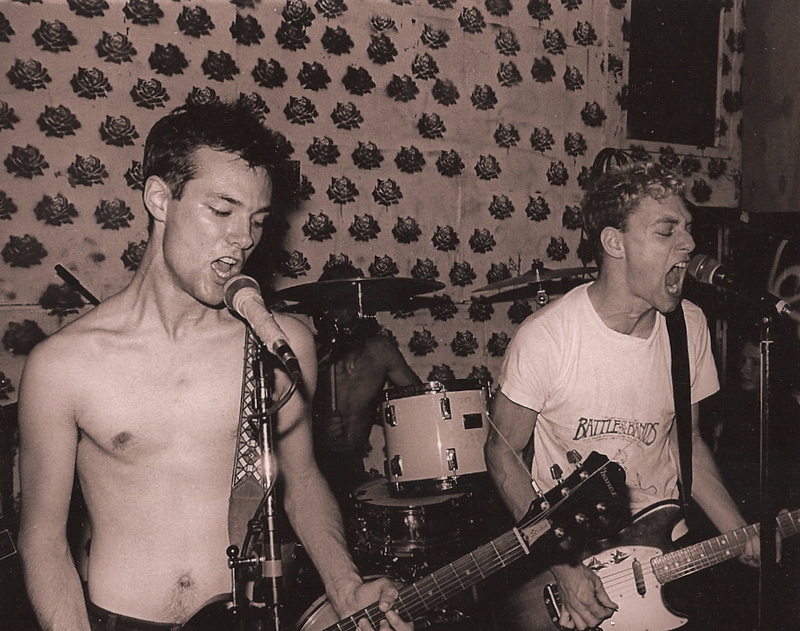 The idea of MTX and Fugazi playing together is still blowing my mind. RIP Chris Gambin. Memories of staying in the attic of his parents garage with people who are now famous millionaires. I miss Chris Gambin. I googled him and found this picture. You (LL) used to give me rides around northern CA. 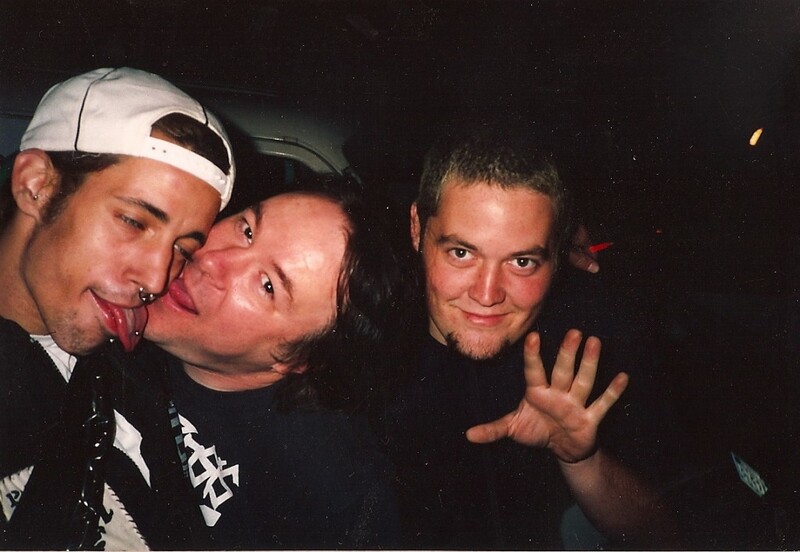 Chris was my friend. Thanks for the picture. He is missed and thought of often. hey, I think that gilman geek shot on top on the far left is Noah Landis.Can’t tell for sure. so long ago! great pics! I’m not sure Noah ever looked that cleancut! But on further study, yes, it could in fact be him. It’s been a long time. I saw Sequoya last month in Arcata, with her husband and 17 year old son. I suddenly realized that the 17 year old was the newborn baby she’d had in her arms at Chris’s funeral.